Using unionism tactics of demands are not something new; for years, Philadelphia’s construction unions have always used violence, vandalism, harassment, and intimidation to dominate the construction industry. The drone plan by the construction unions came to fulfillment under the leadership of Philadelphia’s most powerful union boss, John “Johnny Doc” Dougherty. Apart from leading his home union, the International Brotherhood of Electrical Workers Local 98, he is also the head of the Philadelphia Building Trades Council, an organization representing nearly 40 construction unions in Philadelphia and its suburbs. The unions often come together, rallying to take on any builder who fails to yield to their demands. The union Local 98 spent over $10,000 on three drones, a spokesman told the Philadelphia Inquirer, and the Building Trades Council also intends to buy at least one more. 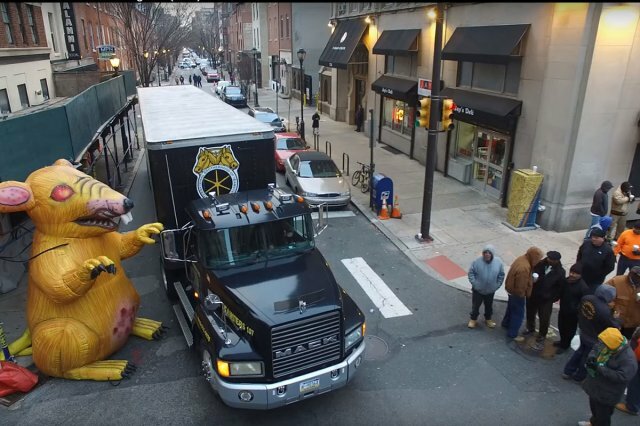 Actually, the Philadelphia’s builders are used to strong-arm tactics from construction unions, the drone video was version 2.0, signaling that Philadelphia’s construction unions could go to any extent to invest in the most cutting-edge technology available to intimidate people who get in their way. The union’s spokesman, Frank Keel, had earlier said the drones would be used to “identify unlicensed workers and in some instances, undocumented workers.” He later retracted the same statement after the social-justice group Juntos accused him of racial profiling. The drone incident actually showcases the extent to which union leaders are going to hold people who get in their way to ransom. The union might be denying the assumed intents, but previous actions of the union speak volume of the violent and unconventional ways of making their demands from their perceived enemies.